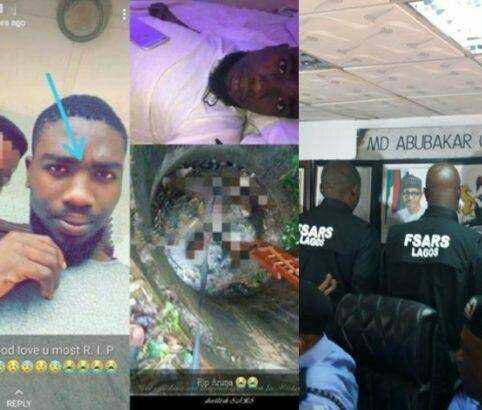 Saliu Alli Haruna, a student of Business Administration at the Ambrose Alli University, Ekpoma, Edo State, was allegedly found dead inside an abandoned well, after being chased by SARS operatives. Report has it that, on Friday night, Haruna’s hostel was being invaded by SARS operatives when everyone took to their heels going by the usual SARS saga that has been on air. With an aim to seeking refuge, the students fled in different directions. But unfortunately, in the quest to find safety, Haruna landed himself inside an abandoned well. HOT : NULASS NATIONAL APPLAUDS GOVERNOR AKINWUNMI AMBODE, CHARGES HIM TO DO MORE!!! The final year student was declared missing for days, since he was no where to be found, sadly, 4 days after the incidence, he was found dead in an abandoned well.